ROCKDOG AMPLIFIER REPAIRS is located at Albion Park Rail within the Haworth Music Centre complex which is 20 minutes from the Wollongong CBD and offers a wide range of services for musicians. The workshop is fully equipped to repair, service and test all kinds of guitar and bass amps and electronic band equipment. 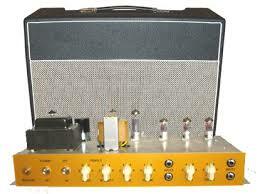 Repairs and servicing of most types of guitar and bass amps and speaker systems. Repairs of most FX pedals including popular mods and component upgrades. Pedal board construction, troubleshooting, mods and wiring including custom length patch leads. Installation of pickups of your choice in guitars and basses. Repairs and replacement of guitar wiring, switches, pots and jacks. Repair and servicing of most mixers, power amps and PA equipment. ROCKDOG is the only shop on the South Coast that is totally dedicated to the repair of tube and solid-state amplifiers and most of the electronic equipment used by musicians. Guitar and bass amplifiers, as well as some older mixers and PA equipment, are some of the last remaining pieces of electronic equipment that can still be economical to repair. Amps can break down for a number of reasons but unlike the ‘throw away’ type of electronics we are becoming more accustomed to these days, amplifiers, especially tube amplifiers, still use parts that can be individually replaced if they fail. Of course, there is a point when it would be considered uneconomical to repair certain equipment but in most cases the cost of repairs are much lower than the price of a new amp. And once an amp has been repaired and set up properly it really can be as ‘good as new’. If you have recently purchased a second-hand amplifier, consider getting it serviced. An amp service includes a very stringent inspection of all components and circuit boards, cleaning and/or replacing of controls and connections, output power and wave form checked, tubes checked and biased plus a full report on the condition of the unit. I also offer free advice on pedal set-ups and getting the best sound from your equipment.